We get to the bottom and seperate the rotten from the good ones! Short Reviews of books which might be interesting for you. From Zero to 100%, everything is possible! 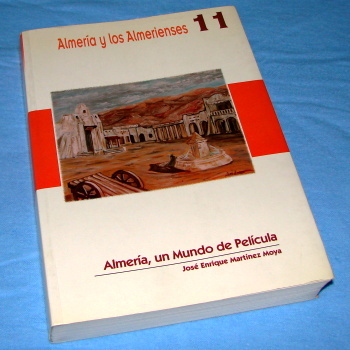 A great book about Almeria and its movie history. about the Movies filmed around Almeria and their locations. Many details and interesting informations out of the archives of Almeria. Few mistakes here and there but still a fantastic job. 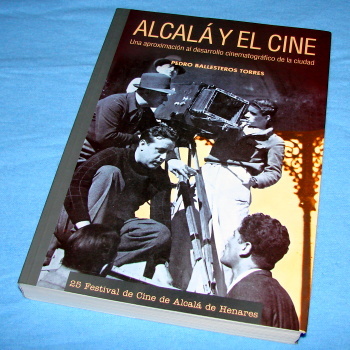 Very interesting book about the movie history of Alcala de Henares. near Alcala didn't found a way into the book? 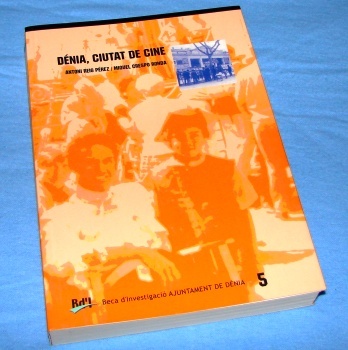 Exciting book about the movie History of Denia. of the first Samuel Bronston Super-Production ("John Paul Jones"). Full of Details and informations. Top! 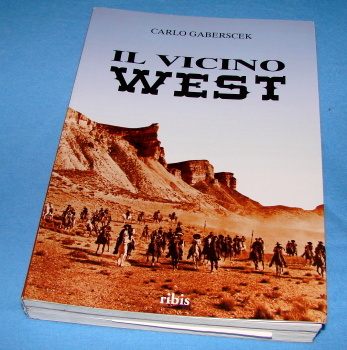 A thick book about Western Locations in Spain. Gaberscek unites the available informations (Moya/Matellano/Websides/...) to one book. Its a bit dry with endless listings but still a great summary. Wow! 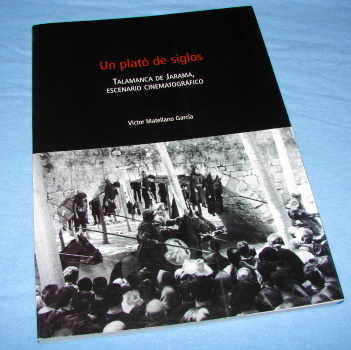 - A brilliant book about the movie history of Talamanca de Jarama. Excellent photos, details and very interesting informations. and all these little pirate flicks. Some of them anchored in spanish coastal area. 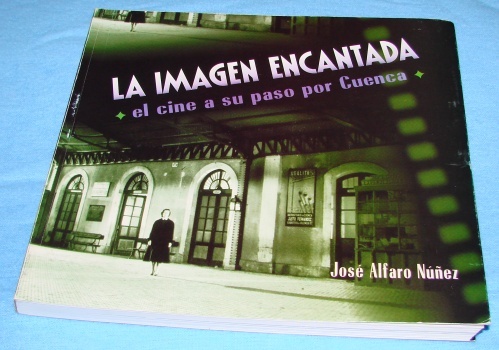 An excellent book about the movie history of Cuenca. Great Locations like the Ciudad Encantada or the Castle of Belmonte. 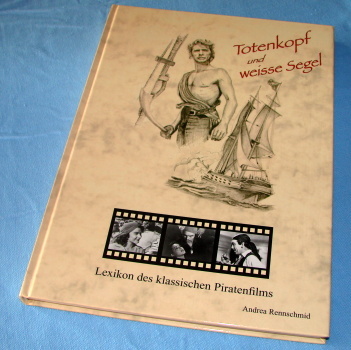 Exciting to read, full of interesting informations, details and photos. Marvelous! Most books about Locations are really interesting to read, helpful and good for informations sometimes. But before you buy any books better invest your money in good maps! Books look great in the shelves at home but in the desert they are just ballast. 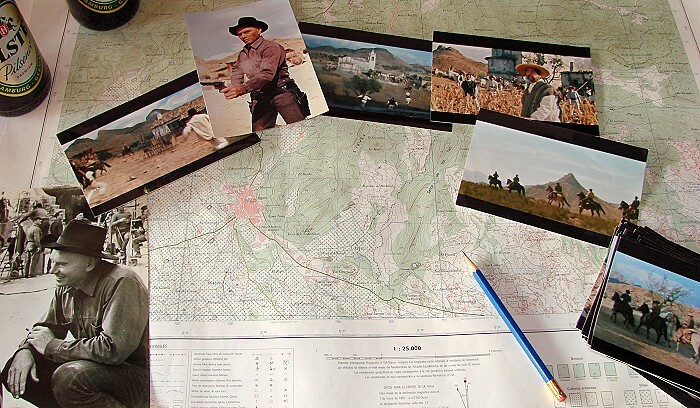 If you go location hunting good maps are essential. The locations I want to discover are usually not mentioned in books anyway! The maps I'm talking about are topographical maps! These are usually available in different scales (1:10.000/1:25.000/1:50.000). Maps from the Instituto Geografico Nacional and old Military maps. I buy my maps in the "Casa del Mapa" in Alicante (Avda.Oscar Espla,15). enormous selection of maps! In Andalucia you find one in Malaga! Working on a Location report for "Return of the Seven". A good map, screenshots..and a few bottles of Cerveza.